Bo headed straight over to the nightclub from the park. He was one of the only ones still in party attire. 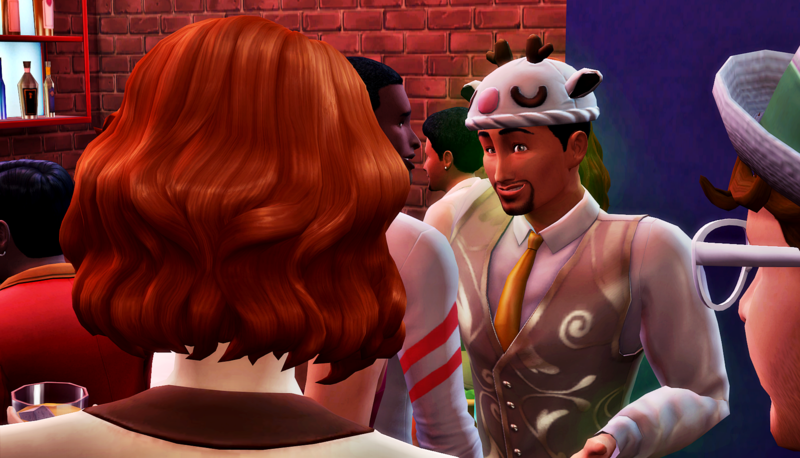 He never spent much time in this part of Willow Creek. If his club was in this town, they were usually at Carmen’s house. But he liked the look of the place. The two story brick structure looked so Sim. They headed inside to the bar. Bo, fresh off his decision to try and move on from Heaven, turned to the woman seated next to him. She had a pretty smile and a fluffy ponytail. She smiled when it was clear he was trying to get her attention. Bo was happy, and it showed. As she took in his appearance, the realization that he was an alien dawned on her. She did not take it well. Bo’s happiness was not dampered by the rejection, but he quickly turned away from the xenophobe. He focused instead on his fellow club members. He had a small petty moment to turn towards the woman, glowing bright green, and talking to all the people around her who did not mind his planet of birth. Then another woman walked into the bar and replaced the recently vacated seat next to Bo. She. Was. Gorgeous. After she got her drink, she stepped back from the bar. Bo thought she was amazingly beautiful and had to go talk to her. If she noticed his glow, she did not react. 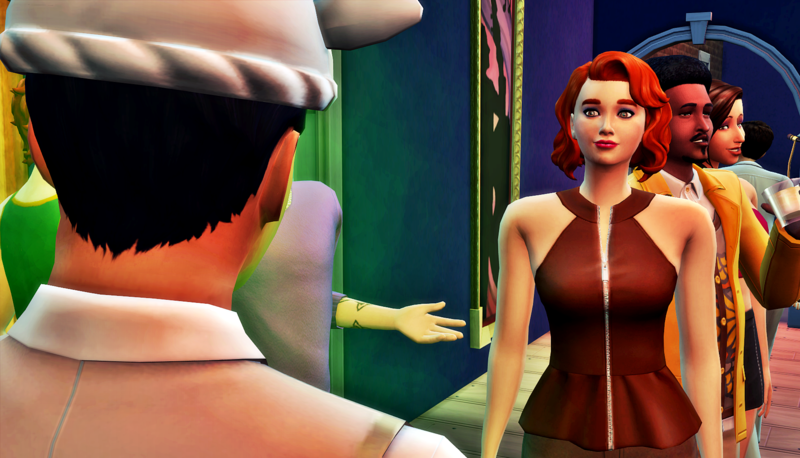 Not used to Sim dating protocol, Bo peppered her with questions about herself, all of which she happily answered. 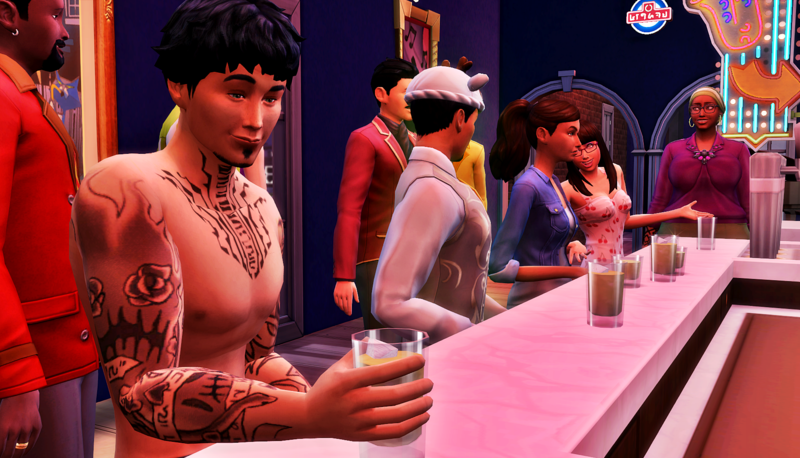 Bo was having such a good time with Mrs. Ashleigh Casillas that he did not notice anyone else at the bar, not even his wife’s rommate Bayleigh. Bo was like a different person in that moment. He knew this woman was married. He was still married. He had just gone on a date with his wife, ostensibly to patch things up. They had not made any final decisions about their relationship. 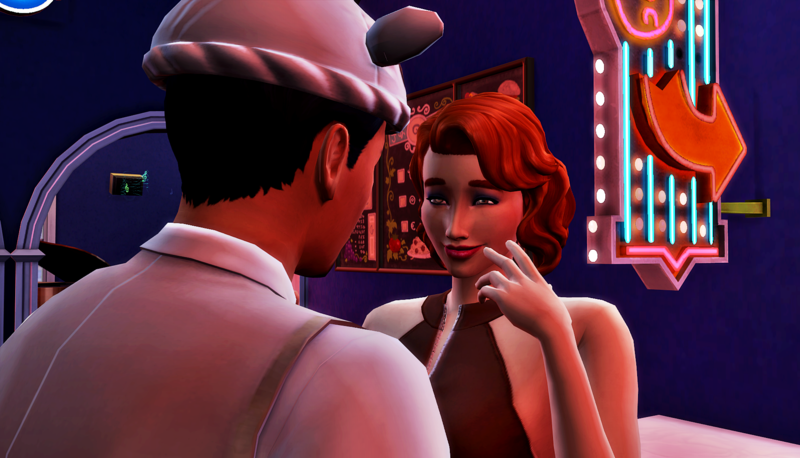 But right in front of him was beautiful Ashleigh, and he could not stop flirting with her. 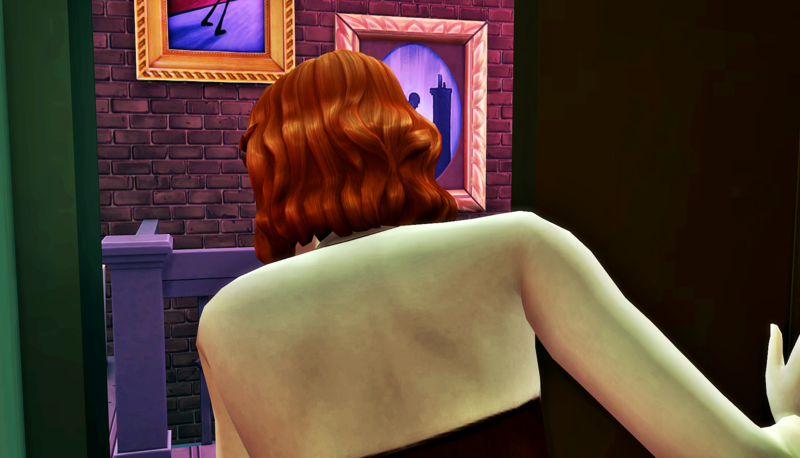 Before he knew what he was doing, he was following Ashleigh up to the second floor of the lounge. He could feel Carmen’s eyes on them as they ascended the steps, but he did not stop. Once they reached the second floor, they headed for the closet. Ashleigh ran downstairs and out the door. After shooting Luca a withering glance, Bo raced after Ashleigh. He could not just let her leave. Bo was taken aback by the sudden change and very embarrassed. He was glad the lounge music was loud, so everyone could not hear him get yelled at. Bo went back inside the lounge, deftly avoided his club friends’ questions, and sat and thought for a bit. He should have spent a few hours with his friends, had one drink, then went back home to his children. Until things were settled with Heaven, he had no business pursuing other women. And besides, everyone his age was married anyway. And the few who weren’t were raging xenophobes. He resolved to be a more committed family man, at least until he figured out exactly what his family was. Bo could not figure out what would make his son elope, but he would have to figure that out later. He decided to lean into the fact that Sky now had her own room. When he tucked her into bed that night, he promised that he would update her room the next day. Bo finished the update in record time. 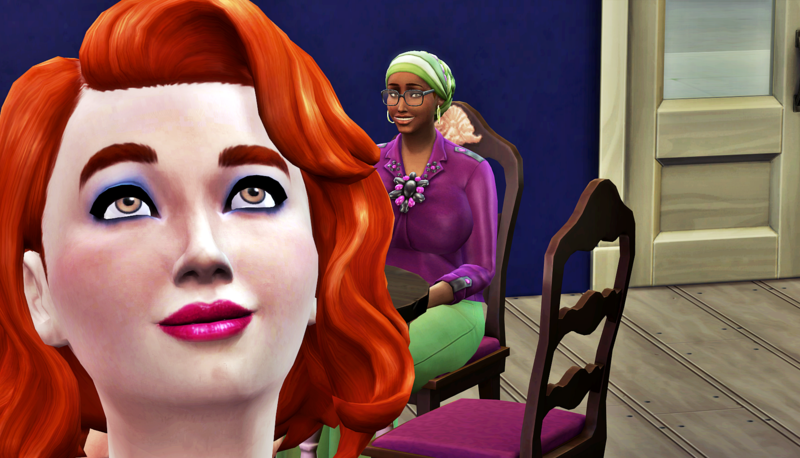 The room was brighter and much more fitting for a young Sim girl. It inspired him to update his look as well. He didn’t change much, just some new clothes and a haircut, but it was fitting for entering this new life stage. He took a moment and congratulated himself in his daughter’s new standing mirror. Sky loved her new room. And Bo loved that she had a desk to sit at while she did her homework. Back when Gem and Asa were children, helping them with their homework was mostly to spend quality time with them. Sky actually needed his help, but he still enjoyed the bonding time. He did not now how Heaven could live with herself missing these moments. Gem updated her look as well now that she was a Young Adult. The Blanks were a simply family, a haircut was pretty much the only change they felt necessary. Gem chose not to move out like Asa did. Her father was grateful she stayed. She told him she would never abandon her family while she was needed. She enjoyed her role as sister-and-mother to her little sister. With her new job, she didn’t get home until late, but she always made sure to tuck Sky into bed once she got home. 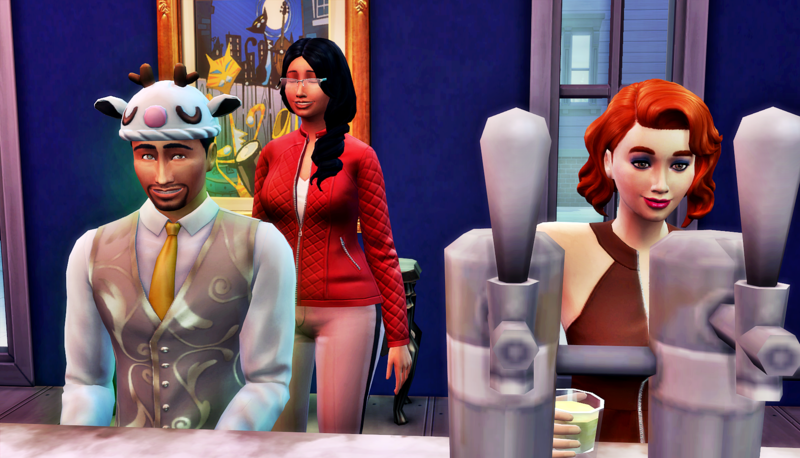 The Blank family looked very different from when they first arrived to Newcrest. But if you asked Gem, things were better this way. Welllll, I did not see that at all, Bo Blank…I guess even aliens have *some* needs…Anyway, I think now that Asa has left the house, is going to be tought to talk with him. He clearly wanted to get out that house as soon as possible, and also just as cleary, did not have a good relationship with his family…From the way the family is now, they *do* seem happier, but there still are some loose ends, like Heaven and Asa…Who would think such a simple family could have such drama? Right? Their family totally surprised me with the depth of their drama. I thought Heaven was gonna leave, then be back in a few chapters. And Asa and Gem used to be so close. But I’m glad they keep surprising me. This one was a whirlwind! I’m kinda shaking my head at Bo, but also pretty happy that he was able to get himself out there and try playing the field a little (though, um, maybe don’t go for a married woman next time? Not that she wasn’t just as willing LOL) I hope this is a sign he can continue moving forward. Asa dipped as soon as he could. He never really adjusted to life without Heaven in the home, and he didn’t feel like anyone was trying to help him adjust. Bo and Sky just assumed he was fine because they were trying to hard to be fine. They literally never once asked him how he was managing everything. Nonchalance can sometimes convince people you really don’t care, then you feel all alone. Bo’s actions were… unexpected. But yeah, I imagine that crazy night left a bad taste in his mouth. He’s going to have to go back to the drawing board on this whole “moving on” thing. His last couple of mistakes blew up his whole world, so he’s not too believing in the idea of harmless mistakes these days. Oh wow, Bo LOL. On one hand, I want to cut him some slack for being confused and a bit lovelorn, buuuuuuuuuuut nope. That was just dumb! Hmph, Asa did marry Olivia. I hope it works out…for her sake. I wish your Eric Lewis was my Eric Lewis from F.I.S.H. : over-protective, outspoken, and crazy LOL. I’d love to see him give Asa the 3rd degree and scare him back to his planet LOL. I like Bo’s new look. He looks like a cool dad. *snort* That makes two of us. OMG, I would love it if your Eric Lewis was mine. The whole story would get derailed like it does when Baby shows up, haha. I’m glad people like Bo’s new look. I think it reflects his current lot in life well. I can’t wait to see if Bo is the type of person to go a little crazy and learn his lesson quickly, or if he’s more the downward spiral type. He’s finally wrapping his head around the fact that his wife may never come back, and I can’t wait to see how that plays out. Sky somehow looks like the perfect mix of her parents’ Sims disguises. 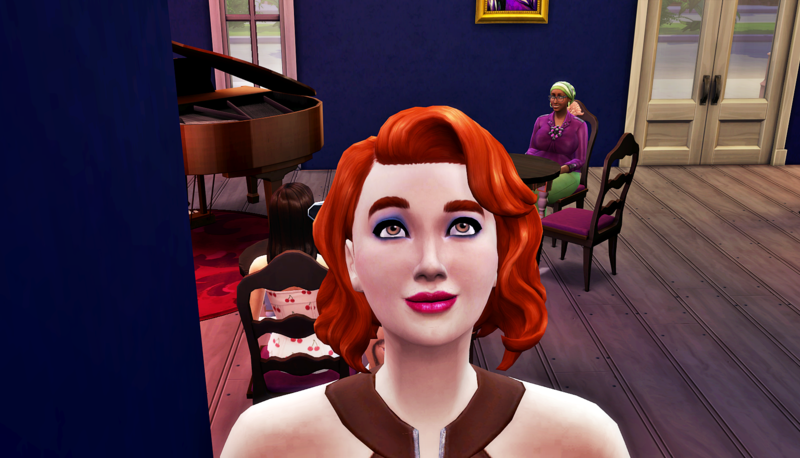 I aged her in CAS to see what the future holds, and I’m a fan. Ha ha! Yes, he would definitely derail the story lol. I still hear his voice in my head so clearly. I don’t think Bo would be the downward spiral type, but then again he’s still unsettled as to what he will/should do, so maybe the spiraling hasn’t begun yet lol. I can’t wait to her grown up! I love her skin color though. Perfect blend of both. I also cannot imagine Bo on a true downward spiral. 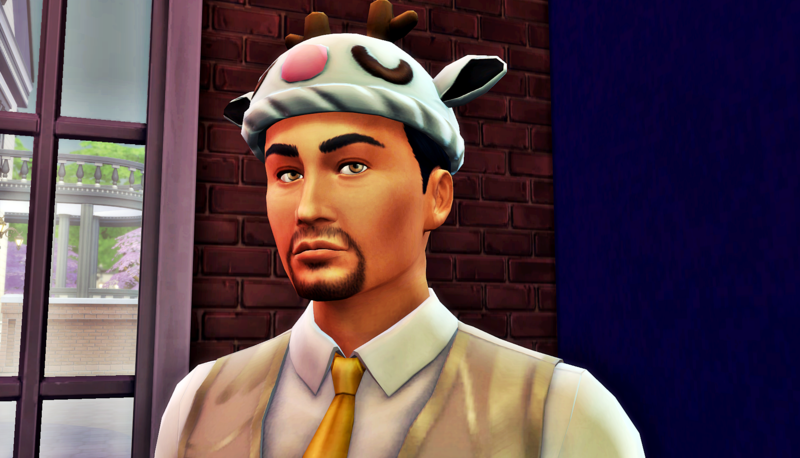 But these Sims keep surprising me, so we’ll see, but hopefully not, lol. A married woman, Bo? Really? Moving on would be nice, but do it with someone single. Look at the issues Carmen has with Hugo. Now i’m just waiting to find out the ho is knocked up. Yes, girl, a married woman. He. Did. Not. Care. And had the nerve to be embarrassed after she snapped at him outside the club! Hopefully he’s not as fertile as Hugo is. Now I’m almost hoping for her to show up at his door knocked up and needing a place to live because her infertile hubby kicked her out. With the new option I turned on in MCCC, let’s just say that’s totally possible to happen almost completely autonomously now… But I really really really hope it does not. 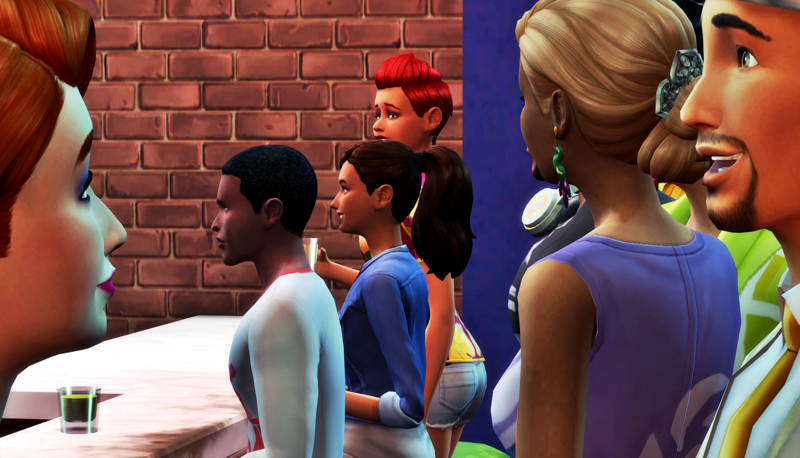 I really don’t want any more toddlers in my game any time soon, lol. Whoa! The game is tossing in big drama again ! I’m happy Olivia will be connected to the family ! 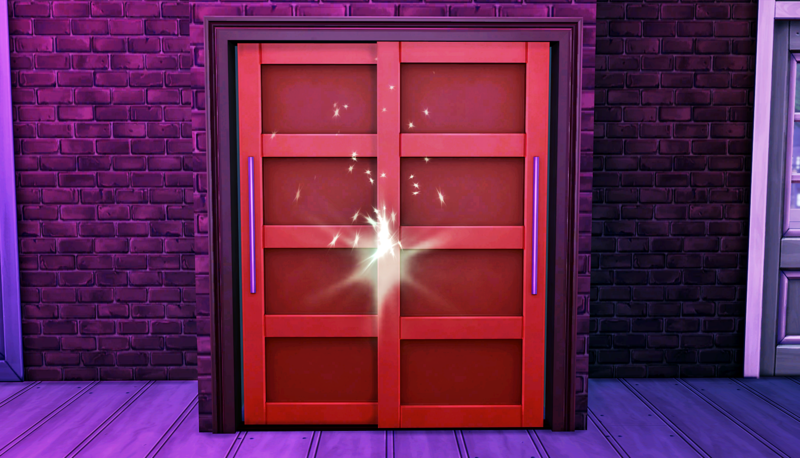 This game loves dramatic behavior for my Sims, lol. 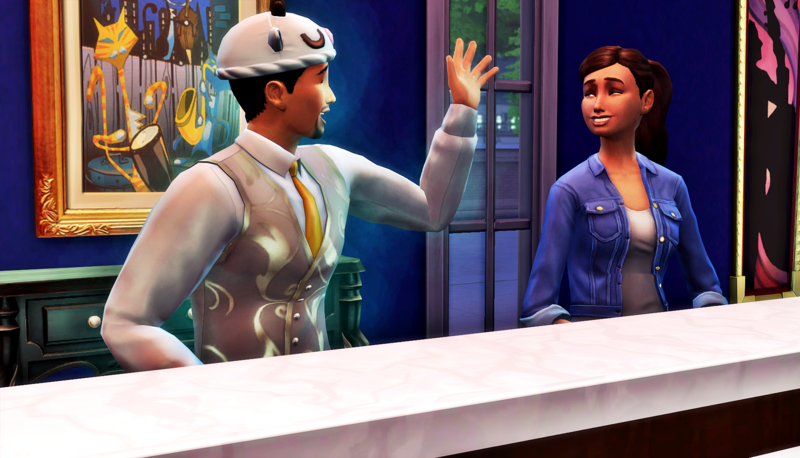 Hopefully Bo can manage to find himself an unmarried xenophilic Sim, and hopefully he does it AFTER sorting out things with Heaven. Poor Bo….but his new look certainly suits him…and Gem’s too. I had to laugh when Luca was standing there when they came out of the closet. Ashleigh is very pretty. I can see why he was taken with her. Heaven needs to cut him lose. She has no desire to be with their children and it’s super sad what it’s doing to Bo. 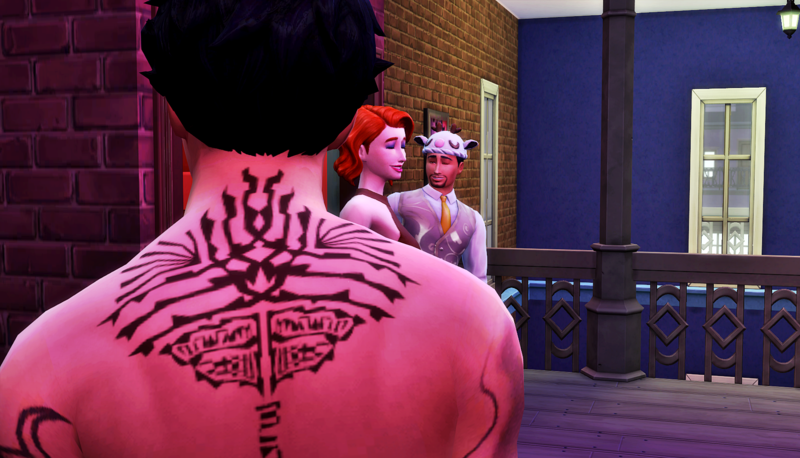 And Asa done got hitched….that boy…I wonder if they will be happy or that was just and escape for him. Asa genuinely likes Olivia, and has since they were children. 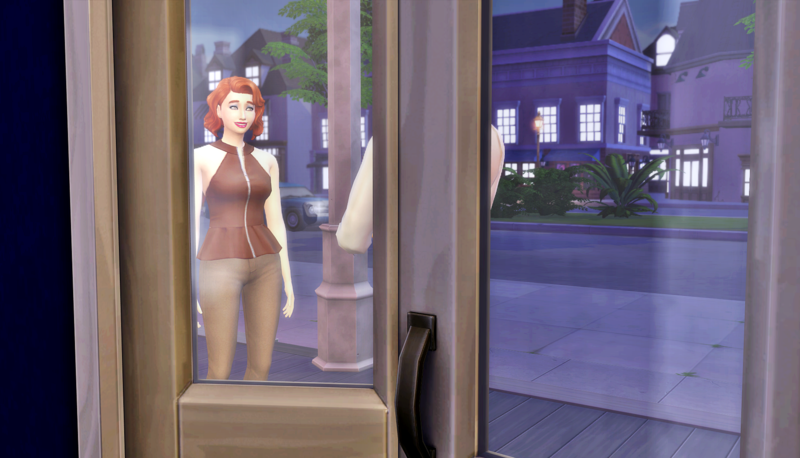 She stopped by randomly right after they both aged up to Teen, and those two immediately began flirting with each other. But then this stupid teen boy was doing the same with Robyn Epstein. I was NOT about to write a story about two good friends fighting over a boy, and I didn’t want to end up with the Epsteins marrying into all the families, lol. But he picked Olivia, and she was soooo happy when she discovered he was an alien. 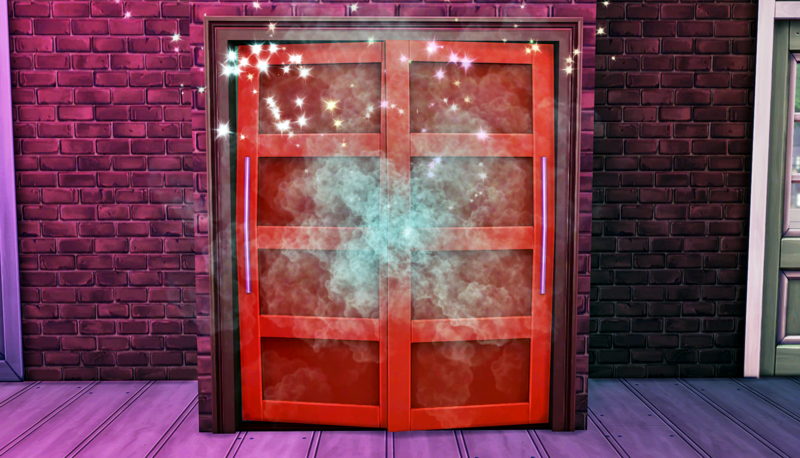 I’ve seen Sims get confident buffs, angry buffs, uncomfortable buffs, etc. when they find out, but Olivia was just plain happy. It was really sweet. Having said all of that, the main thing is that Asa felt the need to get out of The House That Heaven left as soon as he could. He just couldn’t get on board with the new family dynamic. So choosing to get married right out of high school is a messy decision on his part. Time will tell (along with some recent changes I made to my MCCC settings) if it was the right decision. tl:dr He genuinely loves this girl, but the waters a muddied by all his family drama, so who knows if their relationship is on solid footing? Right? There’s so many damn Epsteins. 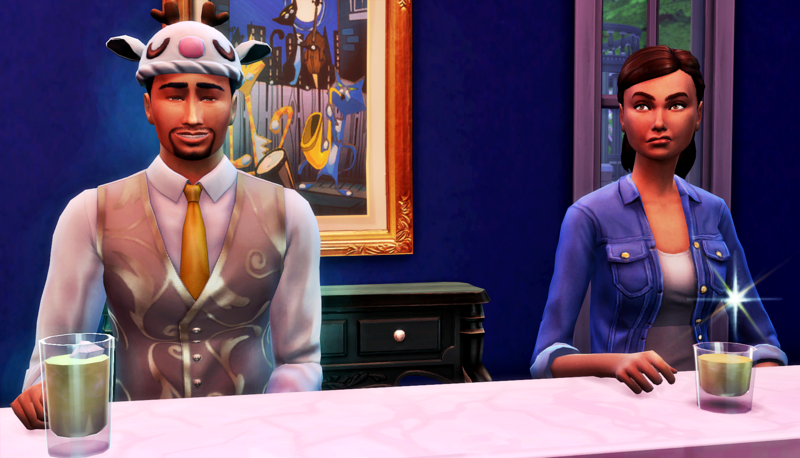 I want them to marry townies and not my story Sims, lol. Lol. They can’t help themselves. This was a very good chapter! I remember you saying you wanted soap opera style drama, and this is definitely that. I really want to hear more from Asa. I wish I could promise you that. But unfortunately, I’m trying to focus more on the daughters, one of whom will get Bo’s spot in the club when he ages up to Elder. 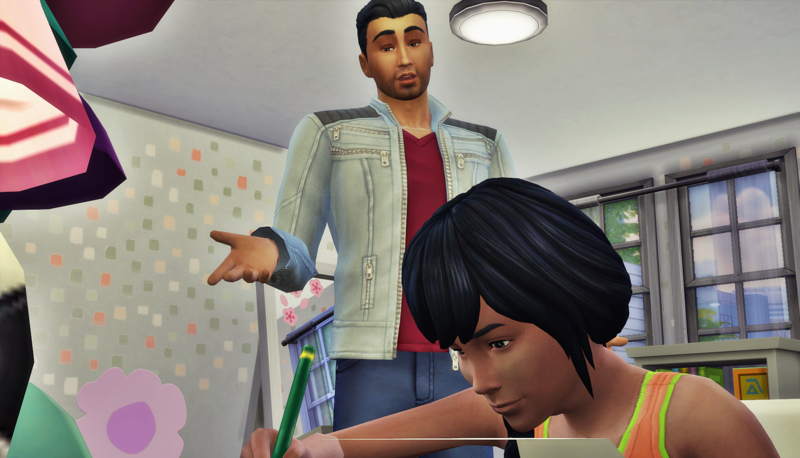 But just like other Sims who aren’t main characters (*cough* Baby Branham *cough*), we will see snippets of his life whenever he’s around.